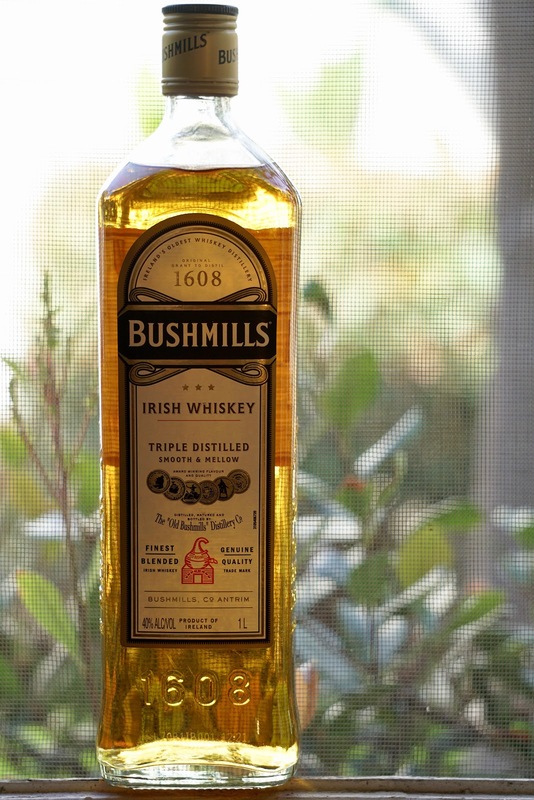 Bushmills Original (40.0%): Bushmills Original a.k.a "White Label" among its fans is the flagship of Bushmills line-up. It's been around forever and although it's not as popular as its rival Jameson it has a pretty solid follower base. I personally have a great respect for blends regardless them being Scotch, Irish or American which are priced low, distributed worldwide for generations and keeping the same recipe as much as they can till today. As you can imagine I tasted this whisky like most of us numerous times but it will be the first time to sit down and scribble down some tasting notes. Color: Oaked Chardonnay with thick and slow legs you wouldn't necessarily expect from a 40% abv everyday blend. Nose: Young grain whiskey, honey syrup and lemon zest. Cracked black peppercorns, peanut brittles and underripe pears. Butane lighter and chalky tap water. Palate: Wet wool, Concorde pears and Werther's Original caramel candies. Flour, green malt and water left in a plastic bottle for some time. Quite thin texture but definitely carries more than you would expect. Finish: Young alcohol burn, vanilla extract and green bananas.